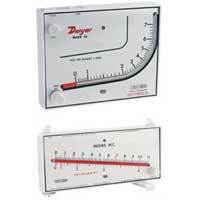 Dwyer® SERIES 1230 & 1235 Flex-Tube® Well Type Manometers are designed to meet the need for a direct reading single column instrument providing highly accurate pressure readings; positive, negative or differential. 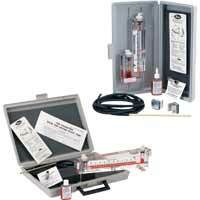 Unlike other makes, Dwyer manometers have no hidden wells or packing glands. 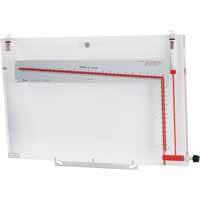 These instruments are constructed of shatter-proof clear plastic tubing permanently bonded to well assemblies with leak-proof glued joints. 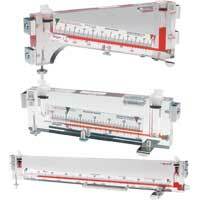 Well assemblies are precisely machined from solid acrylic plastic. 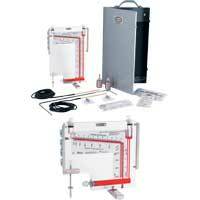 Over-pressure safety traps assure protection against loss of fluid. Scales are adjusted with quick-acting positive mechanism. 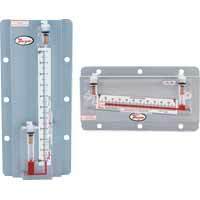 These manometers are rated to 100 psig (6.89 bar). Not recommended for vacuum service beyond 5" Hg (68" w.c.). 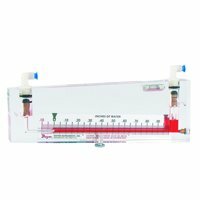 Click here, if you require a Safety Data Sheet for the Fluoroscein Green Concentrate or the Red Gage Fluid. SERIES NO. 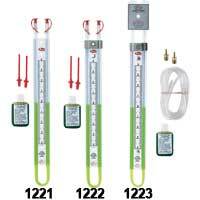 1230 MANOMETERS (wall mounting type), Have mounting holes for easy installation. They may also be used as portable manometers and can be hung or attached to any vertical steel surface by magnetic mounting clips. All parts are fully visible and readily accessible for cleaning. SERIES NO. 1235 MANOMETERS (panel mounting type), All pressure connections are made from the back, with the micrometer zero scale adjustment in front at the base of the liquid column. MULTI-TUBE MANOMETERS, of the same design as the No. 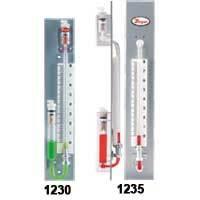 1235 series are available with any number of tubes mounted on a single panel. They are designed for semi-flush panel mounting with all pressure connections made from the back. Reading columns are on 1-1/2" centers. HIGH-ACCURACY PRESSURE MEASUREMENT suitable for laboratory or general industry. PRECISION BUILT assures device meets the highest standards. NO MOVING PARTS mean no calibration or nothing to wear out. OVER-PRESSURE TRAP prevents liquid from being expelled from gage, preventing disruption of operation. 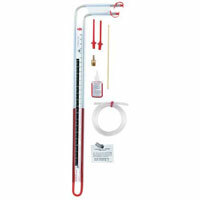 EXAMPLE 1230 8 W/M B Series 1230-8-WM-B Wall Mount Flex-Tube® Well-Type Manometer, range 0-8" w.c., using water/mercury, with type B connections.